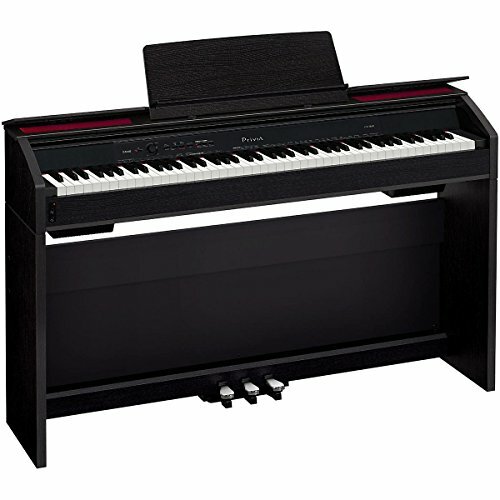 Digital Piano Reviews: Best Digital Pianos for Sale! 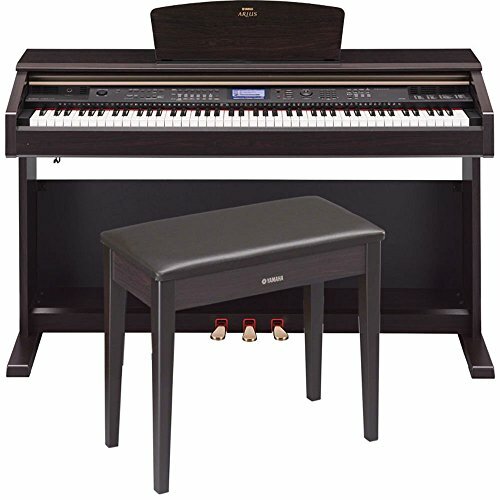 What are The Best Digital Pianos for Sale? With so many options, how can you choose wisely? How much space do you have in your home? Do you need a lot of special sound effects? Those are some of the questions you need to ask yourself before buying your first digital piano. If you have the answers to those questions and are ready to buy a digital piano, I will help you choose the best one for your needs! 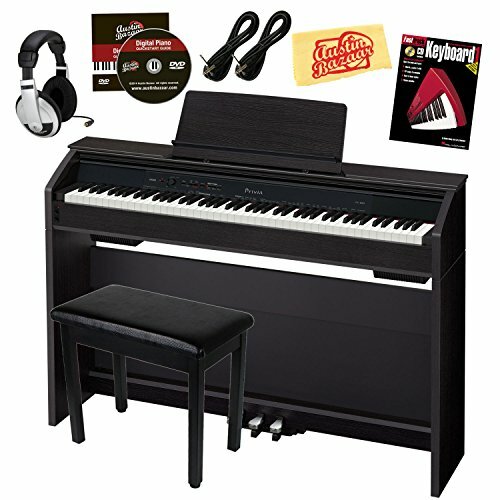 **The one in the picture above is a gorgeous black color Casio Privia electronic piano with bench, instructional DVD, book and headphones! It has a beautiful grand piano sound and ‘feel’ and weighted keys! Will look absolutely stunning in your living-room! We start our digital piano reviews with this wonderful Casio digital piano! Second of all, the price of this beautiful digital piano is low! Besides looking like a “real” acoustic piano, it also ‘feels’ like one too! The sound is beautiful and very clear, the closest you are gonna get to a real acoustic piano. It is a great digital piano for beginners and pros! When you hear the name ‘Celviano’, it means the sound has a better and more improved quality, to make it as close to a grand piano as possible. The keys are heavy and the tones sound wonderful! The speakers are also pretty good and so is the pedal action. Size wise it is pretty compact and fits pretty much anywhere! Perfect digital piano to have in a condo! It is very compact, gorgeous looking and you can practice quietly at all times! Yamaha is one of the best digital piano brands out there! Their digital pianos are all high-quality, so you don’t need to worry when buying a Yamaha electric piano. 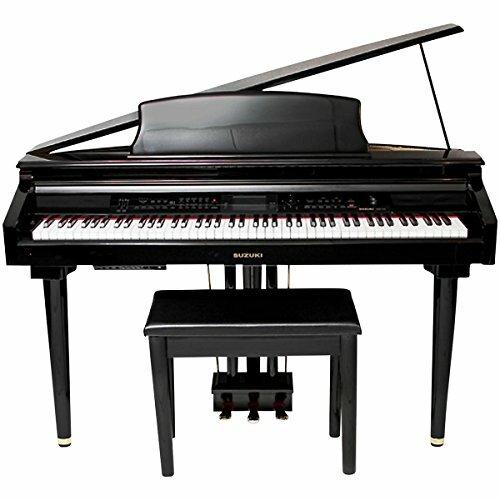 This beautiful Yamaha digital piano also comes with the beautiful and comfortable piano bench! The touch-sensitive keys gives the student the right way to practice and the same feeling of “real piano” keys, which has heavier lower notes touch. It also has a remarkable sound, which will blow you away! The Most Affordable Digital Pianos for Sale! This is one of the most affordable digital pianos around! A digital piano has 88 keys, just like a real piano, and the sound and key touch is as similar as possible to a real acoustic piano. Keyboards, on the other hand, may or may not have the full 88 keys and many of them do not have touch-sensitive keys or a real piano sound…. That’s why keyboards are usually way cheaper than a digital piano. 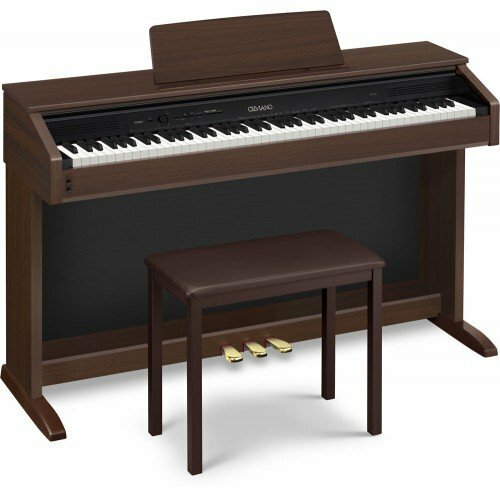 This is a great Yamaha electric piano for beginners! It is very affordable, it has a wonderful “grand” piano sound, it comes with the music sheet stand and it looks beautiful anywhere in your home and does not take up a lot of space at all! It has hundreds of “cool” sound effects and different accompaniments too! Pretty portable as well, in case you need or want to take it to a friend’s or family’s house. Great gift idea for a beginner piano student! This is a pretty affordable and great looking mini grand black electronic piano! Even though it’s a ‘mini grand’ piano, it will fit basically in any room you place it, because it is actually very compact! I love the beautiful and shiny black-lacquer finish and the padded bench. The advanced-graded hammer action keyboard will give you an authentic piano feel and the best news is that you will never have to spend money to have it tuned! You can also record your own playing, which is awesome when you are learning…. You will be able to listen to yourself playing and correct mistakes easily! 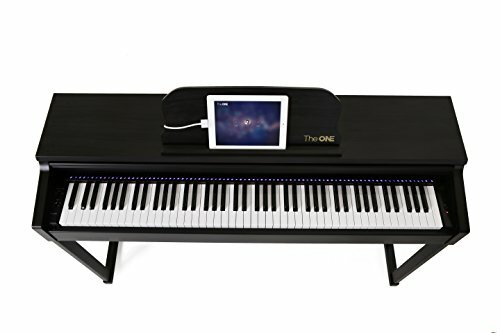 Another cool feature of this ‘mini grand’ digital piano is that it is bluetooth compatible, so you will be able to connect to your other devices wirelessly. The speakers are also pretty powerful as well and the sound is stereo. This beauty is not only perfect for piano beginners but also professional players! *Here is a great demonstration of a Suzuki digital grand piano! The sound is really rich! Digital Piano Reviews: Casio Privia! The Casio Privia is among the best digital pianos for beginners and pros! The AiR sound technology reproduces the sound of the best acoustic grand pianos and the keys feel very smooth on the fingers! When you sit down and start playing, you immediately feel the difference and if you close your eyes you will feel like you are playing a real piano. 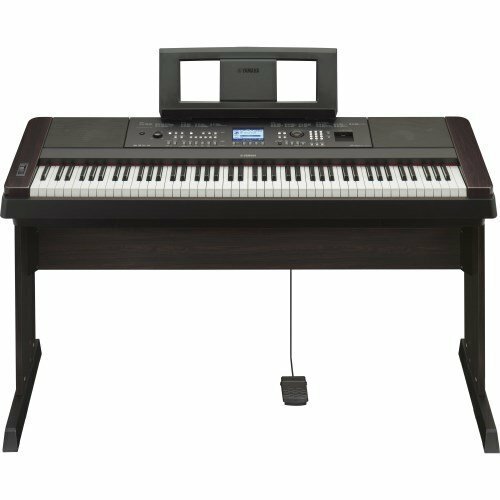 This is a fairly affordable Casio Privia digital piano available in three beautiful colors: black, brown and white! The size is nice and compact as well, which is absolutely perfect for a condo, bedroom or small apartment as well. *Here you can read more about the Casio Digital Piano Privia. A digital piano created for beginners! This ultra-cool digital piano was specially created for the beginner piano student! It ‘teaches’ the student by having him follow LED lights! It is a fun and easy method to learn new songs and you will be playing your very first song in a few minutes! It also comes with over 2,000 songs with the sheet music! Piano learning is supposed to be fun and make the student want to keep learning and I think this is genius! You not only learn how to play by following cool lights but also through some cool piano games and video lessons! *Everyone has a blast playing the piano! *I hope you enjoyed my digital piano reviews here and were able to buy the best digital piano for your needs! Now it’s time to learn a few songs! How to Learn Popular Songs on Piano!